Crane Power Circuit Limit Switches are mounted on a crane trolley to prevent over travel of the crane hook when hoisting. 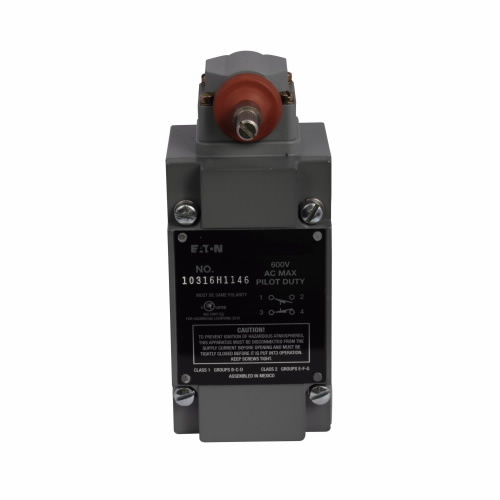 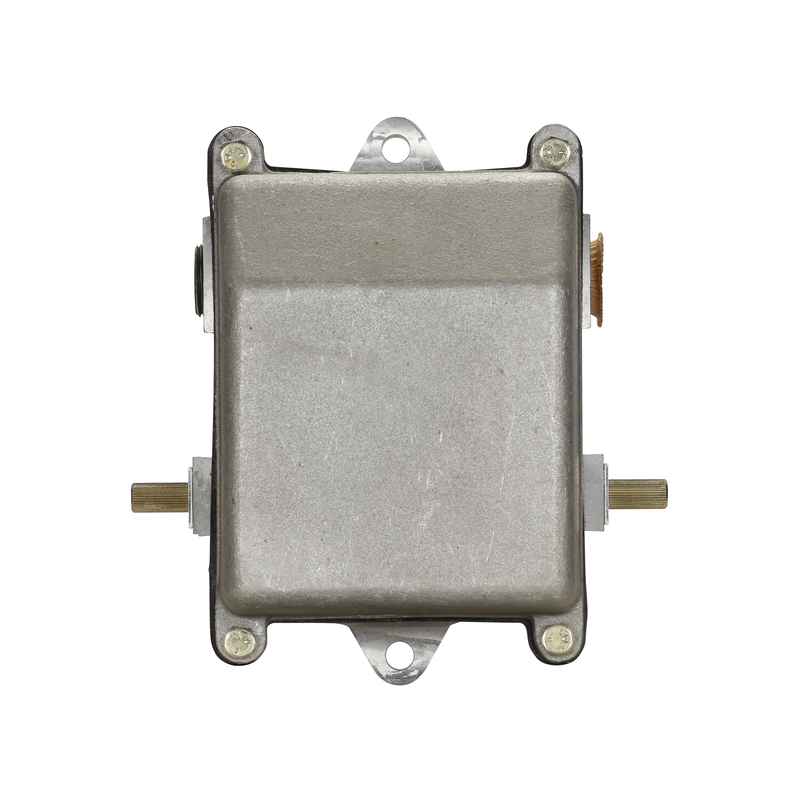 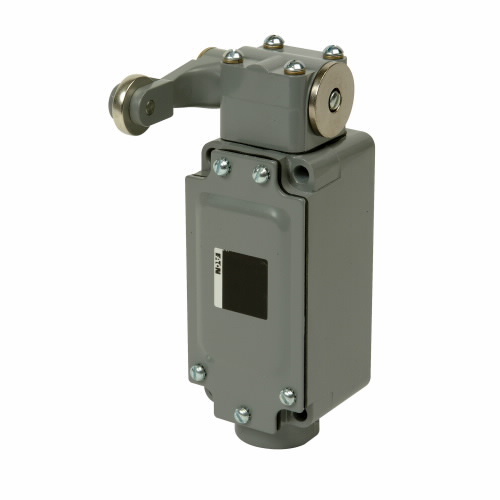 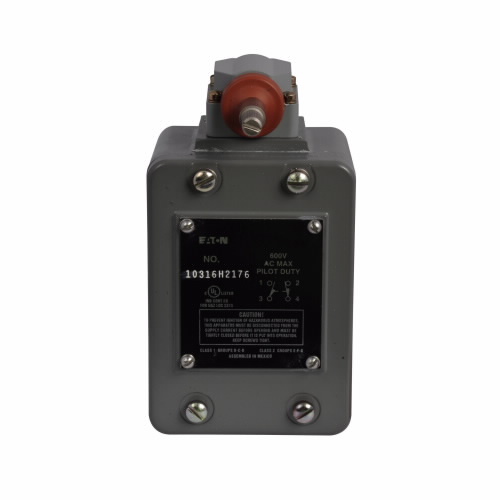 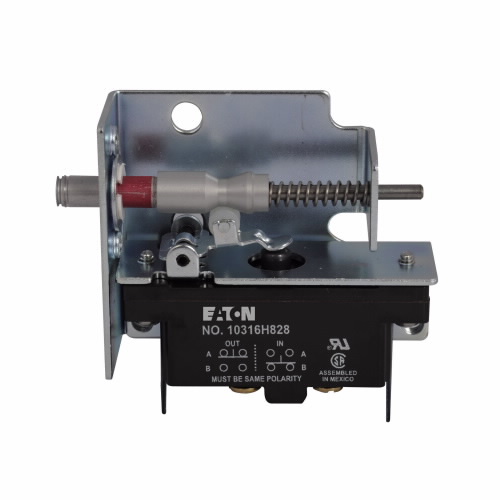 These enclosed switches are available as single and duplex types from 50-500 hp. 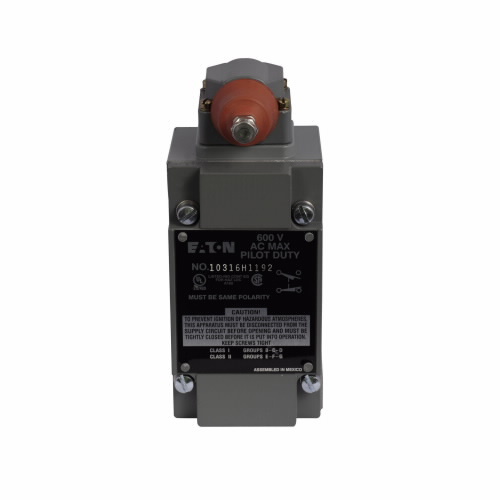 Power Circuit Limit Switches utilize double pole - double-throw power circuit contacts to disconnect the main power to the hoist motor. 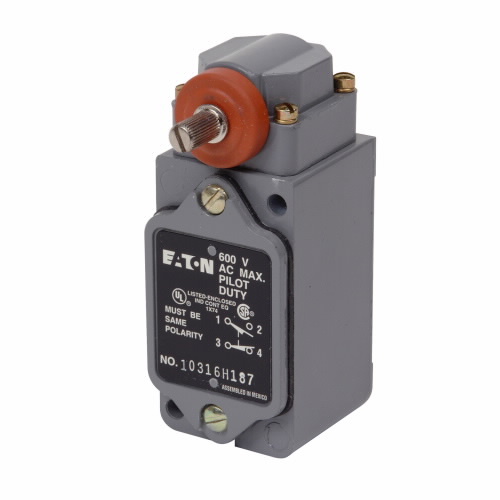 On dc applications, a resistor is required with the limit switch to provide dynamic braking. 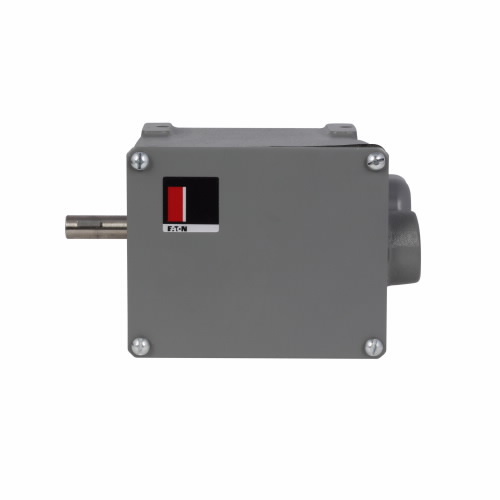  NEMA 3R weather-resistant enclosure with U-shaped cover allows for easy access to mechanism. 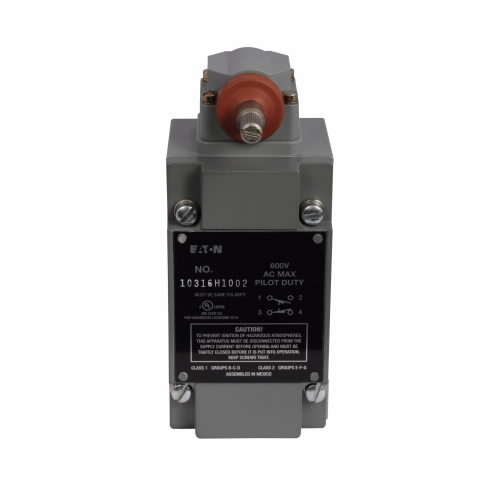  Moving and stationary contacts are common to C80 mill duty DC contactors eliminating additional spares. 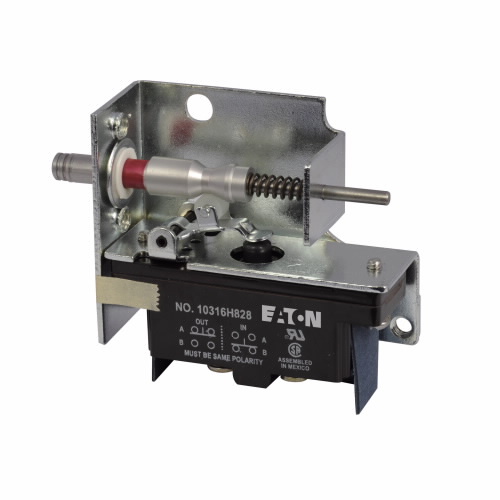 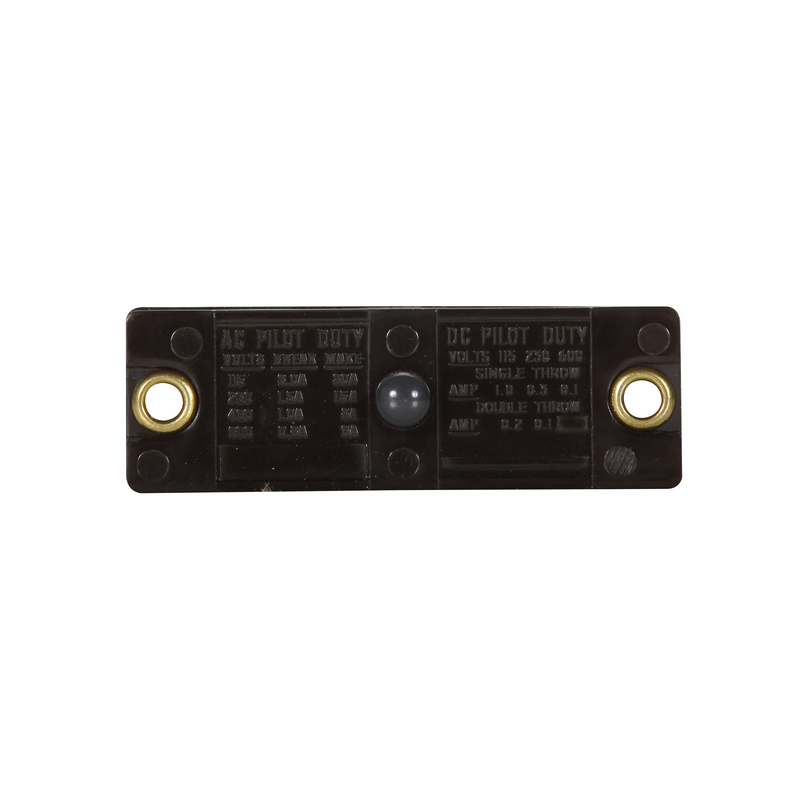 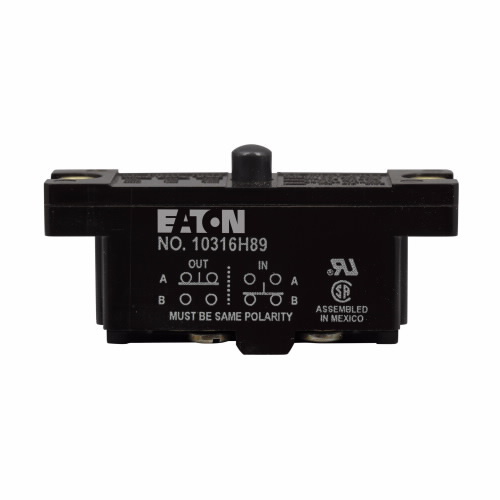 Control limit tack type switches operate at 600 V maximum, ac or dc. 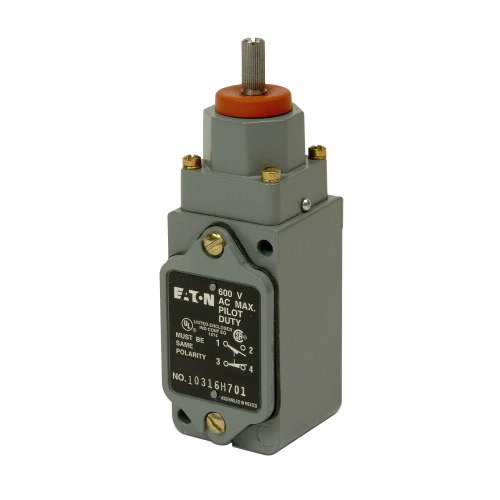 Types of operators for these switches are Roller lever - 460 FPM, Standard fork lever - 700 FPM, Heavy-duty fork lever - 340 FPM, and counter weight with reset for over-hoist applications. 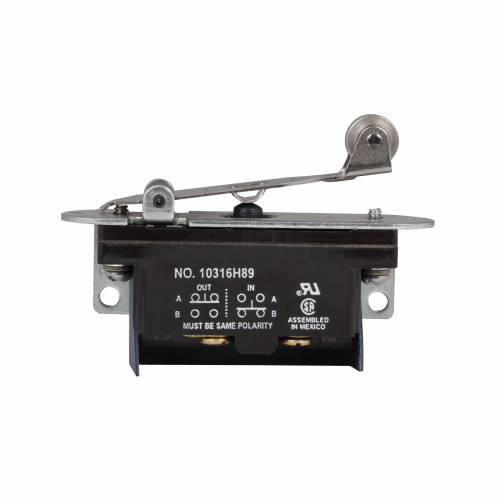 Standard spring return switches operate in one direction only (contacts change state when lever is moved in one direction from center).  Spring return operation, maintained operation, or contact configuration can easily be field converted minimizing down time and inventory requirements. 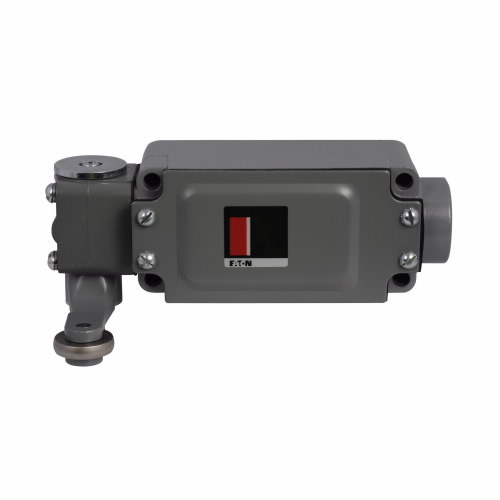  Double shaft extension provides flexibility of mounting operating lever on either side of switch. 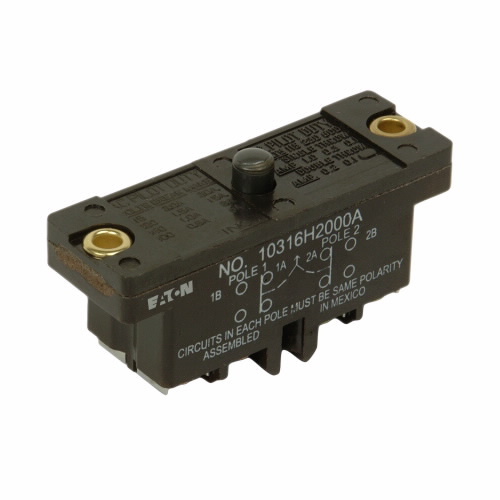 Contact Configuration - 2, N.O.- 2, N.C.
Switch Type - Precision Switch, Contact Block, 2, N.O. 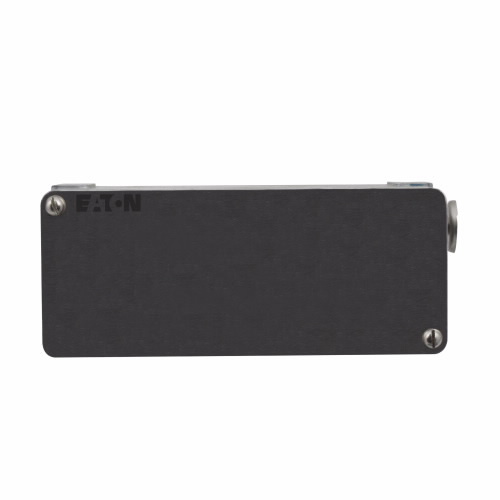 & 2, N.C.
(0.3125LBS) H 1.03" L 2.6" W 3.19"
(0.2LBS) H 1.2" L 1.2" W 1.5"
(1.125LBS) H 1.55" L 1.78" W 4.43"
(1.125LBS) H 1.55" L 1.78" W 4.87"
Contact Configuration - 1 N.O.- 1 N.C.
(1.6813LBS) H 2.25" L 2.25" W 6.03"
Contact Configuration - 2 N.C.
(3.57LBS) H 2.69" L 3.66" W 6.88"
(2.125LBS) H 1.55" L 5.06" W 1.78"